To honour the US Marine Corps, United Cutlery designed a knife with fighting spirit. 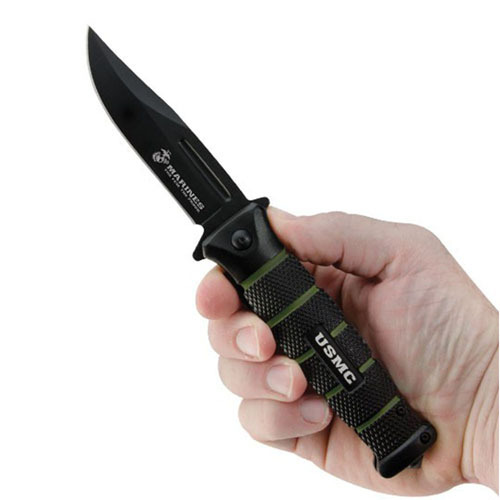 The USMC Combat is the perfect tactical knife for any covert operation, with a sleek black-coated blade and camo-coloured handle. 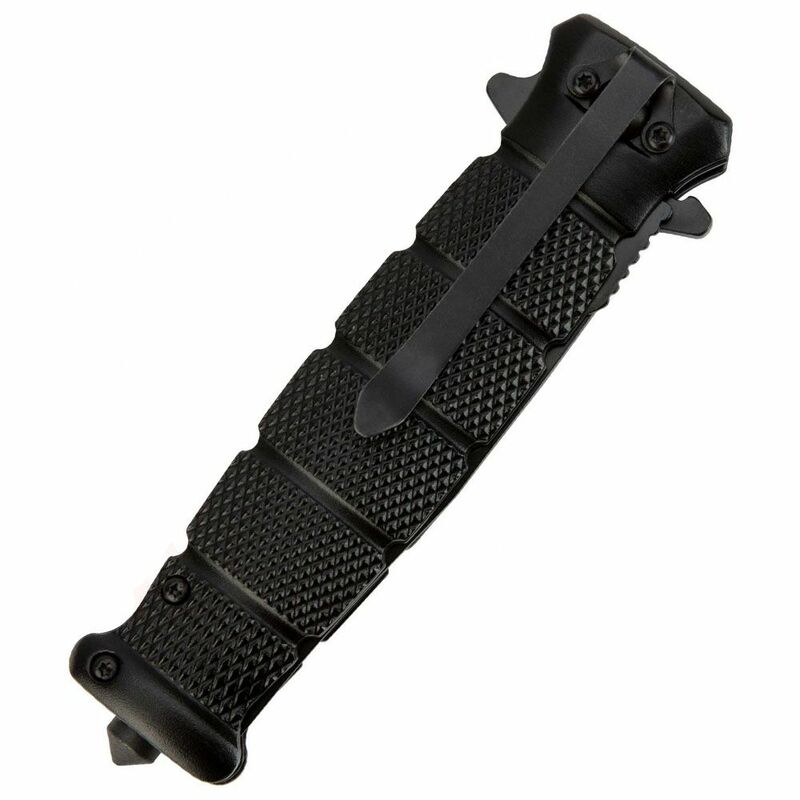 A spring assisted spur open and glass breaker pommel makes this a formidable tool from either end. 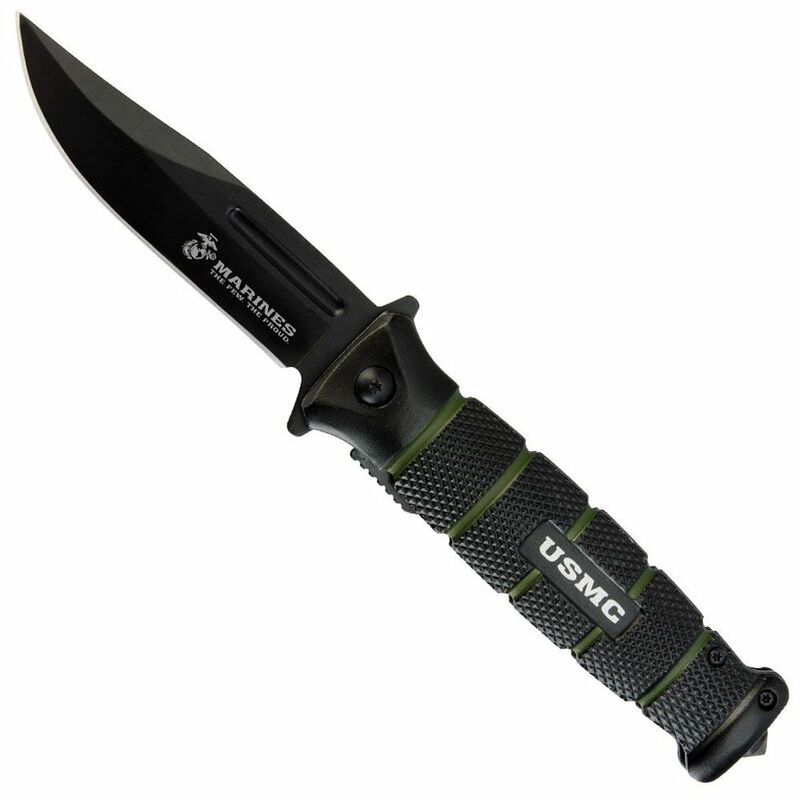 The Official USMC logo is embossed on both the blade and the handle.